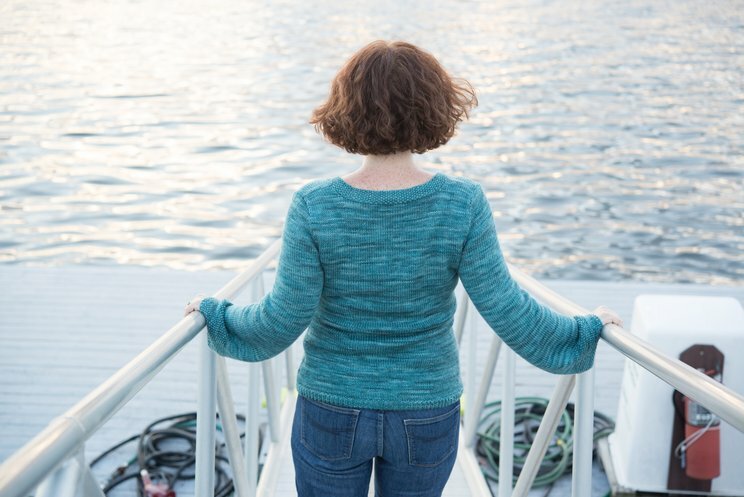 Shore Ledges is the sweater I want to wear for a day on the water. It's warm, soft, enveloping... ...but flattering and tailored, too. The deep V-neck and long, belled sleeves are trimmed in crisp seed stitch, and the length and construction of the sweater pair perfectly with the incredible sheen and drape of the merino-silk blend. 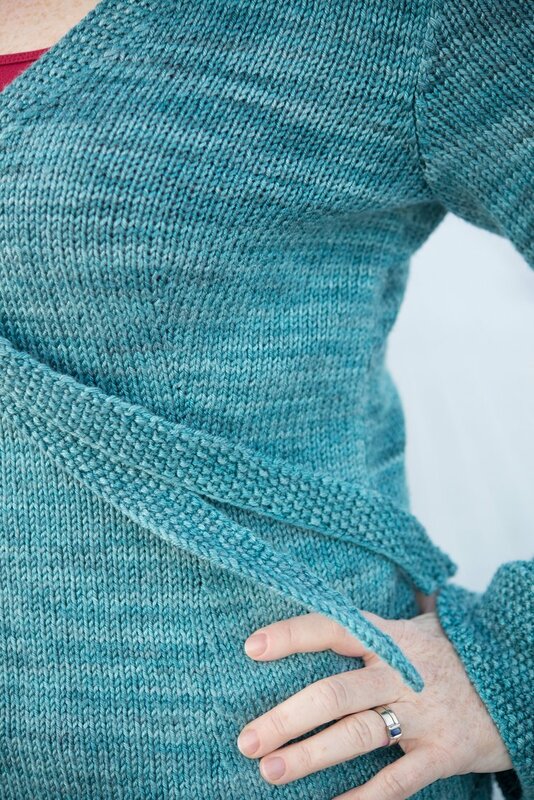 There are nice touches, but the pullover is fundamentally relaxed and completely unpretentious. It looks equally great with jeans, a skirt, or a great pair of cords. Indigodragonfly Merino Silk DK [50% superwash merino: 50% silk]: 220 yds/201m per 100g hank, showin in 'The Raine in Maine Feigns Trading Pain for Skeins'.